Babylon Project was the dream of Earth Alliance senator Calvin Natawe. Senator Natawe proposed that the people of Earth that they should create a place where humans and aliens could meet on neutral ground, in the free exchange of culture, ideas and settle disputes peacefully in the hopes of furthering intergalactic peace. The senators dynamic vision was revolutionary and many thought his dream was little more than an optimistic fantasy. Thus Calvin Natawes proposal quickly fell between the political cracks of the Earth Alliance government. Few in the Alliance were keen on the idea of the Alliance spending precious resources on something that might not be needed. This attitude quickly changed after the infamous war with the Minbari Federation. Upon the conclusion of the Earth/Minbari War, senator Natawes vision began to take form, as the Earth Alliance senate overwhelmingly approved the Babylon Project. Construction on the first Babylon station began in 2249, less than a year after the conclusion of the Earth/Minbari war. After several acts of sabotage which lead to the project being placed completely in the hands of the military, the first fully operational O'Neil class space station christened Babylon 4 went on-line in 2254. 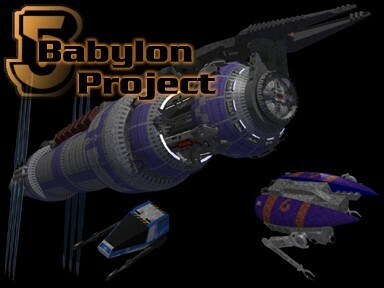 After the mysterious disappearance of Babylon 4, with all hands aboard, it looked as if the dream of the Babylon Project was about to die. Not willing to let that happen, Natawe and his supporters were able to convince the Centauri and, surpassingly, the Minbari to cosponsor the construction of the ONeil class space station Babylon 5. On December 24, 2256, one day before Christmas, Babylon 5 went on-line under the command of Commander Jeffrey Sinclair. Since going into operation the Babylon 5 station has lived up to the dream of creating a better universe, having been the base of operations against the dreaded Shadows and the tyranny of the President Clark regime and the foundation for the new Interstellar Alliance. Babylon 5 has lived up to its name, "Gate of God"; its existence blessing the galaxy, the universe a better place due to its existence.